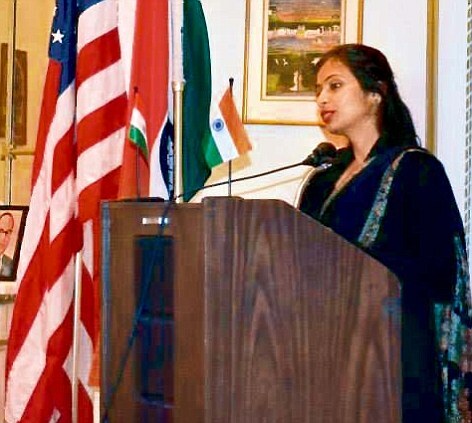 India’s diplomatic relations with the United States have come under critical scrutiny after the public humiliation of an Indian diplomat posted at the Indian Consulate in the City of New York. In spite of serious political differences, both India and the United States along with Tibet could formulate a military alliance/pact that has resulted in the creation of a military organization called Special Frontier Force or Establishment No. 22. There is a common understanding and a shared vision between these three countries about the military threat posed by Communist China’s illegal occupation of Tibet since 1950. This military alliance/pact has withstood the test of times and continues to thrive despite several changes in the political leadership in India and the United States. This is an area of agreement and cooperation. At the same time, India must not be blind or gullible enough to ignore the goals of US foreign policy in Southeast Asia. The United States continues to be an important ally of Pakistan and a major military partner of India’s enemy. From the day of its inception, Pakistan continues to pose the same military threat to India’s vital security interests in Jammu and Kashmir. This security threat is further aggravated by the military relationships between People’s Republic of China and Pakistan. While Pakistan pursues its open agenda of occupying Kashmir using military force, both the United States and China desire to downsize the Republic of India. Both of them share a vision of India that is broken into several smaller, independent state entities. If that is the reality, India must estimate the need for its Consular services in the United States. Mr. Prabhu Dayal, the former Indian diplomat who had served in New York has recommended closing down the Indian Consulate in New York. In my view, India has no requirement to maintain several Consulates in the United States and all functions must be centralized at the Indian Embassy in Washington DC. Further, India must ask the United States to close down all US Consulates operating in Indian cities of Mumbai, Chennai, Kolkata, and Hyderabad in due recognition of the US foreign policy that aims to breakup Indian Union. Personal Numbers: MS-8466/MR-03277K. Rank: Lieutenant/Captain/Major. Branch: Army Medical Corps/Short Service Regular Commission(1969-1972); Direct Permanent Commission(1973-1984). Unit: Establishment No.22(1971-1974)/South Column, Operation Eagle(1971-1972). 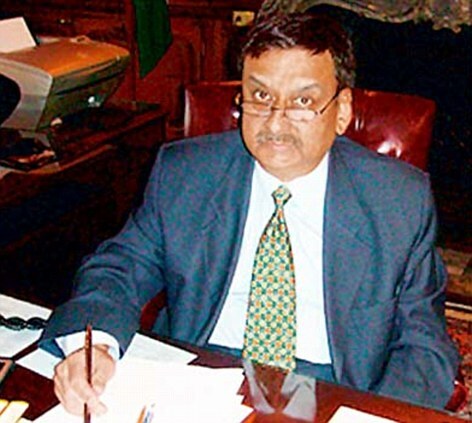 Prabhu Dayal was India’s Consul General in New York from September 2008 to February 2013. Devyani Khobragade’s arrest has resulted in an unprecedented Indo-US row which shows little sign of abating. Since I was Consul General in New York from September 2008 till February 2013, I feel duty-bound to put the situation in a full and correct perspective. Devyani worked as my deputy towards the end of my term. Moreover, I also faced a lawsuit about which some misinformed comments continue to be made in sections of the media. I met (Devyani’s domestic help) Sangeeta Richard several times at the consulate. She not only seemed happy and cheerful, but also struck me as being quite well-groomed and educated – not the usual type of domestic worker. Given the recent history of problems faced by the consulate, I advised Devyani to be careful. I also told her that there were plenty of people around who could misguide Sangeeta and create trouble. Cases of desertion by domestic assistants are not new. For decades, domestic assistants accompanying our diplomats to the US have gone missing, preferring to stay there illegally and pursue their dollar dreams. Countless security guards, including many from the police and paramilitary services, have also done likewise. Although the US authorities have invariably been informed whenever this has happened, they have done nothing to nab them. As is well known, the US has a very large number of illegal, undocumented aliens who provide cheap labor. However, in October 2000, the US Congress enacted the Victims of Trafficking and Violence Protection Act (TVPA). In terms of this Act, our domestic assistants who abscond can now obtain a trafficking visa by alleging that they were subjected to involuntary servitude and not paid wages as per US laws. They can get a three-year T Visa which gets converted to full resident status. Naturally, such persons allege that they would face extreme hardship if they were deported back, as Sangeeta Richard has done. In return, they have to cooperate with the law enforcement agencies against the alleged traffickers – their former employers. Then in 2010, New York state enacted the Domestic Workers Bill of Rights, after which there has been a spate of lawsuits filed by domestic workers. Devyani Khobragade may have fallen victim to a common menace – maids desperately seeking green cards. It is no secret that many Indians go to the US and try to stay on by hook or crook. Thousands of Sikhs have managed to obtain political asylum by alleging that they are being persecuted in India and thus getting full resident-status. Privately, many of them admit that they only took the asylum route as it was the only way they could get a Green Card. However, the US authorities continue to give asylum visas to many Sikh applicants, blindly ignoring the fact that the Sikhs are a thriving community in India, and that our Prime Minister is himself a Sikh. However, the asylum visa is not available to everybody. This is where the TVPA has opened the doors to people like Sangeeta Richard, who can obtain official passports as domestic assistants of our diplomats, get an A3 visa from the US Embassy, reach US shores, work there for some months, abscond and then obtain a T Visa. The visa fraud allegedly committed by Devyani Khobragade was in fact committed by Sangeeta Richard as she misrepresented her terms of employment to the US Embassy during her interview with the Consular officer to get an A3 domestic worker visa, which would later enable her to leapfrog to a trafficking T Visa. Now, a few words about two earlier cases which took place in New York. Shanti Gurung worked as a housekeeper for Dr. Neena Malhotra, Consul for over three years. I met her often as she would come to the consulate to attend functions such as Republic Day, Independence Day, Diwali, Baisakhi etc., as well as music concerts, and she was always happy and contented. I was shocked when she went missing on the eve of Dr Neena’s departure from New York on transfer, and even more shocked when she filed a lawsuit a year later against her employer alleging confinement, forced labor, slavery, ill-treatment etc. No doubt, she did so to obtain a T Visa. Mrs. Santosh Bhardwaj worked as my housekeeper for two years in India and four years in Morocco before joining me as my domestic assistant in New York in February 2009. Eleven months later, in January 2010, she absconded from the consulate building where she lived. Seventeen months after that, she filed a suit against me alleging slavery, forced labor, non-payment of full wages etc. She alleged that she was not given proper accommodation and was made to sleep in a storage area. She also made an allegation about an incident of sexual harassment. These allegations were prominently reported in the media. Six weeks later, her lawyers filed an amended suit in which the allegation about sexual harassment and being made to sleep in a storage area were voluntarily dropped. Under US judicial practice, a plaintiff enjoys absolute litigation privilege and can amend a suit by adding or deleting charges. However, these and many other allegations had already received wide publicity in the media and continue to be referred to even now. The fact was that she was not made to sleep in a storage area but was provided a fully furnished one bedroom apartment in the consulate building with heating, air-conditioning, television and an attached bathroom, and there were many witnesses to this fact. As regards sexual harassment, this charge was also false. The media gave very little coverage to the voluntary dropping of these charges. She was so well treated in Delhi and Morocco that she voluntarily went with us to New York. Did our treatment towards her suddenly change so drastically in New York that it was tantamount to slavery and involuntary servitude? The suit alleged that I had not paid her wages at $10 an hour as per the contract. Here, I would like to draw attention to the website of the US State Department which states the following: “As of March 2011, the Department has decided that no deductions are allowed for lodging, medical care, medical insurance or travel. As of April 2012,deductions taken for meals are no longer allowed”. However, Mrs. Bhardwaj worked for me in New York from January 2009 till February 2010, when deductions for perks were allowed by the State Department. If perks are included, the emoluments of my domestic assistant were considerably more than what she was to get under the contract. A fully furnished one bedroom apartment in the Upper East part of New York does not come for less than $2,500! Added to this were the expenses towards water, electricity, heating, air-conditioning, food, medical cover, travel passages (including for home leave) plus a handsome salary. The emoluments of all officials posted by the MEA(Ministry of External Affairs) to Embassies and Consulates include salary and perks; the emoluments of a domestic assistant accompanying an Indian diplomat are built into the officer’s own package, and include salary and perks. It is only after March 2011 that the US State Department has begun to disallow deductions for perks for domestic assistants. Litigation in the US is a very expensive and stressful process. Most lawsuits end up in an out of court settlement without acknowledgement of wrongdoing. I, too, had no option but to settle the case. India’s view has been that the domestic assistants of our diplomats hold official passports and should be outside the purview of US labor laws. The US side has not agreed to this, insisting that US laws apply to them. This impasse continues. What about the future? We should either get the US to agree to our position or change our present arrangement relating to the domestic assistants. Our officers should not be caught in this sort of situation arising from how the Ministry of External Affairs interprets the emoluments given to domestic assistants and how differently the US authorities interpret them. This would prevent the sort of ordeal which Dr Neena, Devyani and I myself have gone through. It is understood that the MEA is trying to revamp the system and may itself sign contracts with domestic workers instead of officers having to do so. Will this revamped arrangement shield officials posted at our Consulates fully? I am afraid not, for one must recall the case of Krittika Biswas, a 12th grade student and daughter of a Vice-Consul serving under me in New York. She was arrested and handcuffed in front of her fellow students at her school on the charge of cyber-bullying one of her teachers, although she asserted that she had a diplomatic passport. She was not allowed to contact her parents or anyone till the evening, and was kept in a detention center for 28 hours with prostitutes and drug addicts in the same manner as Devyani. My colleagues and I had to run from pillar to post to get her released. She was not taken back to her school but had to attend a sort of reform school. Later, it was discovered that it was not Krittika but another student who was responsible for the cyber-bullying, but he was not arrested. What can one make of this except that the New York law enforcement agencies were biased and high-handed? The Krittika Biswas case makes me apprehensive that given the US position on immunity, even if we were to revamp our system relating to domestic assistants, we will not be able to guarantee that officials in our Consulates will not be arrested or dragged into law courts for some reason or another. The US is a highly litigious country where suing people is a sort of favorite pastime. Family members of consulate officials are not given any ID cards and have absolutely no immunity. Hence, they are even more vulnerable. An atmosphere of fear already pervades our Consulate in New York, and the New York Consulate is no longer a sought-after posting for this reason. What are we to do in such a situation? Some of my former colleagues go to the extent of saying that if diplomats posted in our Consulates in the USA do not enjoy immunity, then we should close down these Consulates and do all Consular work from the Embassy in Washington DC, where our officials enjoy immunity. This is not so cynical as it may sound. Firstly, Consular work relating to passports, visas, OCI cards, PIO cards has already been outsourced. Instead of bringing the documents to the Consulates, the outsourcing company could courier them to the Embassy. Secondly, a large number of persons already send their applications to the Consulates by mail, and they would instead have to send these to Washington DC. What difference would it make if someone living in Boston has to send the application to Washington DC instead of to New York? Of course, the Embassy’s consular Section would have to be considerably strengthened for handling the additional load. All other work such as information, culture, outreach and economic would also have to be done from Washington alone, which is not so difficult in today’s age of instant electronic communications. As regards all the endless protocol work involving receiving and seeing off delegations which keep coming to New York, it could be done by the Permanent Mission to the UN, whose officials enjoy immunity. At present, the protocol load is shared by the Permanent Mission and the Consulate. Again, the protocol wing of the Permanent Mission will have to be augmented. I know that this suggestion by my former colleagues may be dismissed as being too cynical. There is no doubt, however, that our officers posted at the Consulate in New York have begun to feel very insecure after all these recent cases, and the same may also be true for the other Consulates in Chicago, San Francisco, Houston and Atlanta. 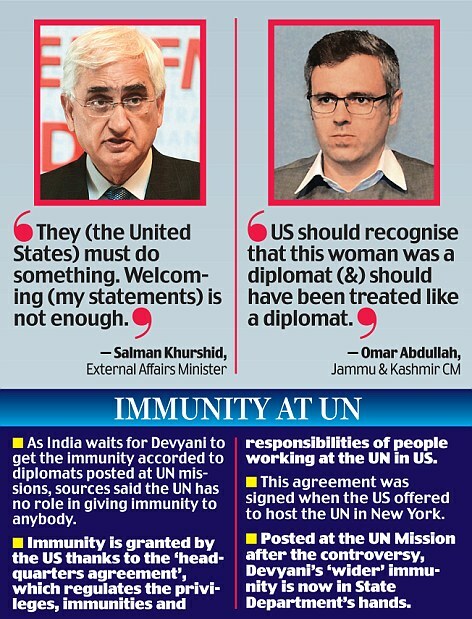 How will India protect its diplomats posted to the consulates given the US position on immunity? Drastic situations call for drastic steps, and if we can’t learn from bad experiences, then we alone are to be blamed. Foot-dragging will not get us anywhere. I agree wholeheartedly with your suggestion to close down all our consulates in USA and reciprocally the US consulates in INDIA;The GOI is dragging its feet and once the public memory forgets the ghastly ill-treatment to Kobragade they will not take any action;i suspect the little action they have taken so far is only because she is a dalit and as the dalit movement is strong here,they are afraid of its backlash on their support in the coming general elections.IF they are really serious ,they should ask for closure of all US consulates in india forthwith;it will be interesting to find out the status and privileges of Chinese consulates in US. Thanks for that kind response. I would like to draw your attention to the statement made by Mr. Prabhu Dayal. He has categorically affirmed that the United States is brazenly supporting the separatist movement for ‘Khalistan’. The United States does not recognize the existence of the Republic of India and has no respect for its territorial integrity. For this reason, we have to close all the Consulates until there is a better understanding of the identity of the Nation. It must be noted that People’s Republic of China has not allowed the United States to open a Consulate in Lhasa as the US is still opposed to China’s military occupation of Tibet.